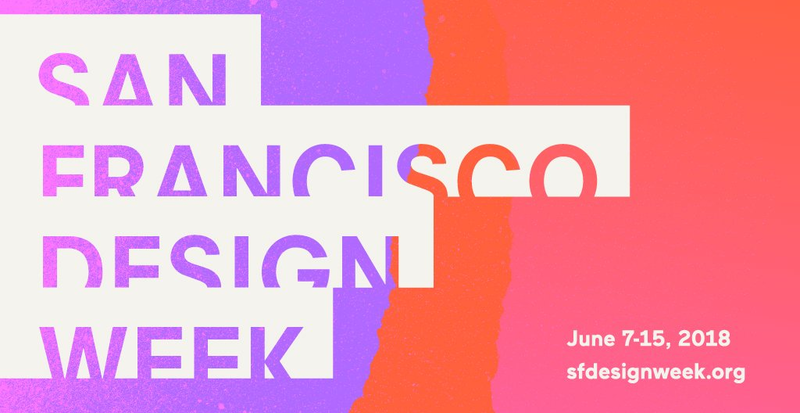 MistyWest is stoked to be presenting at this year’s SF Design Week with friends Cooper Perkins, Inc.! While you prep to get ready for a week of learning, networking and great design, here are some top picks you should definitely snag an RSVP to! This SF Design Week, MistyWest and Cooper Perkins, Inc. invite you to travel back in time to your elementary school science fair. This is high-concept technology presented like you’ve never seen it before. While many companies during Design Week go to great lengths to showcase their products and designs in elevated style, we are riding a wave of 90’s nostalgia and bringing everyone back to the good ol’ days of posterboard and Sharpie markers. Come hang with us, jam to some classic hip hop and drink the Kool-Aid (we can’t promise it won’t be spiked). 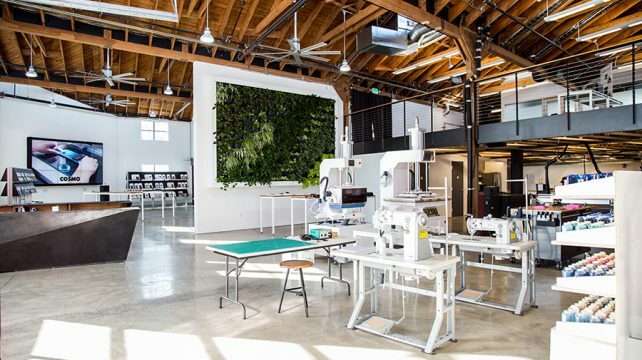 Join design and prototyping company Cosmo, as they explore the endless opportunities for the integration of embedded sensors, flex circuits, haptic devices, hidden screens and LED’s in the textiles and wearbles space. Their specialty, integrating soft materials into rigid products, is a current trend in hardware design with potential applications contributing to richer user experience and overcoming usability and sensory challenges. 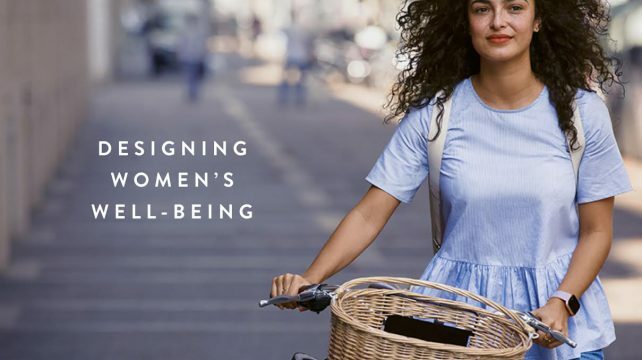 Come join Women in ID and Hardware for an event focusing on developing products with Women’s Health in mind. With the advent of female-lead design and development teams, they are bringing a much-needed light to “experiences that address the authentic and unique needs of women”. The event will also feature an in-depth dive into the design and product development process behind of the best-selling Fitbit Versa. What does it take for an industrial design and engineering firm to start work in robotics? 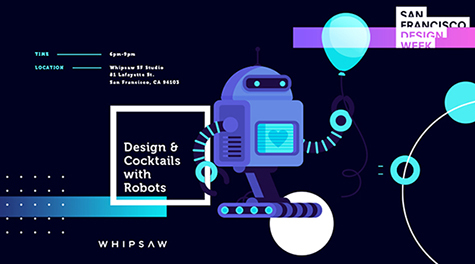 Come find out from the nice folks at Whipsaw – an industrial and design consultancy located in San Jose and SF. They’ve graciously opened their doors to friends new and old during #SFDW for their Design & Cocktails with Robots event, they describe as “A night of personal interaction with some of the hottest robotics companies in the industry as well as networking with local designers and robot enthusiasts alike”. We’ll be there! Join AIGA and a panel of leading Product Designers in the Bay Area to discuss how the digital design field has evolved and how Inclusive Design Principles apply to product design. Not sure what they mean by “Inclusive Design”? In their words, “Inclusive design challenges us to think beyond our everyday experiences and to look beyond our own biases to design solutions that address hidden, and sometimes, overlooked user needs, capabilities and aspirations. By understanding user diversity, we inform our decisions, and thus, include as many people as possible.” Sounds like a great conversation to be a part of! 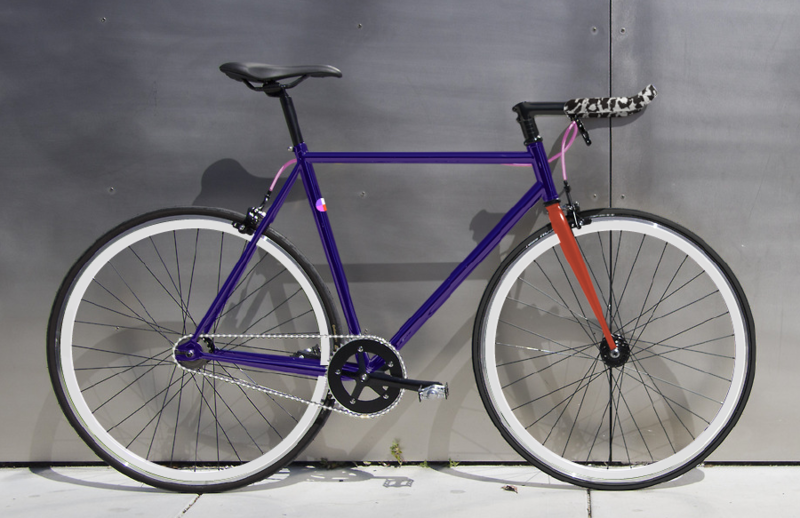 Also: attendees will have a chance to win a custom SFDW bike from Mission Bicycles!